Apollo’s day follows His sister Artemis’, just as His birth followed Hers. 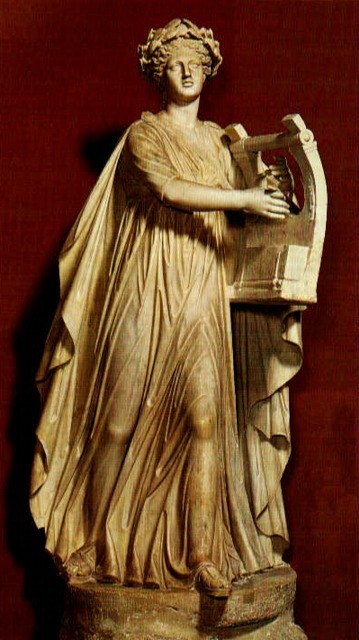 As She is Goddess of the moon, Apollo is the God of the sun. Of course, both these Deities are much bigger than these single manifestations. But the sun and moon are constants in the sky, there for us to gaze upon and be comforted that the Gods are always there to be seen. They help us to measure time, forever turning in tune with the cycles of nature. In this form, in Their celestial embodiments, They are always watching. As the sun rises this morning, greet Apollo with joy in your heart. Say a prayer of thanks for the gifts of Apollo: the light of civilization, the power to heal the sick, the guidance provided in prophecies and divination, the escatsy of creating music, poetry and art, and many otherthings. This entry was posted in Greek and tagged Apollo, music, video. Bookmark the permalink.